Dior know how to do Holiday collections. Well I think they do seeing as for the past few years there has always been something I have picked up-usually the eyeshadow palettes. To me, Dior at Christmas is always rich, opulent and jewel toned luxe. It draws me in and makes it seriously hard to resist. The 'Golden Shock' collection is this years offering and it's the eyeshadow palettes that have again got my heart racing. I've passed on the highlighter-undeniably beautiful but reports suggest that under the underspray the colour is somewhat dry and chalky with a strong yellow undertone. I already own a couple of the Diorific lipsticks, in their signature 'golden dumbbell' packaging (my words, obviously not Diors). This years 'half matte, half metallic' combo didn't really do it for me. Polishes, again pretty and great quality but if you saw my nail polish drawer you'd be tutting and shaking your head-I just can't justify it. Despite the fact I now seem to own 345,983 eyeshadow palettes I can however justify buying both eyeshadow palettes. How could you not? There is something so special about Dior eyeshadows-I am practically a collector. 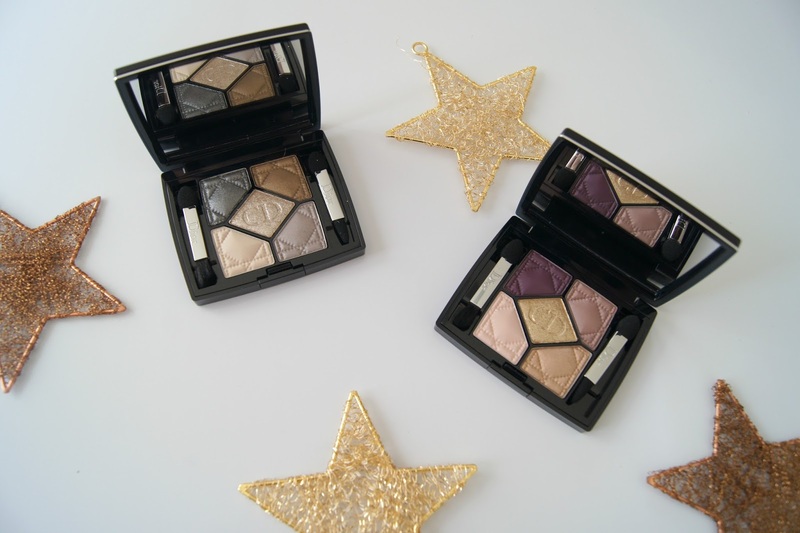 Remember the Dior Mystic Metallics collection? 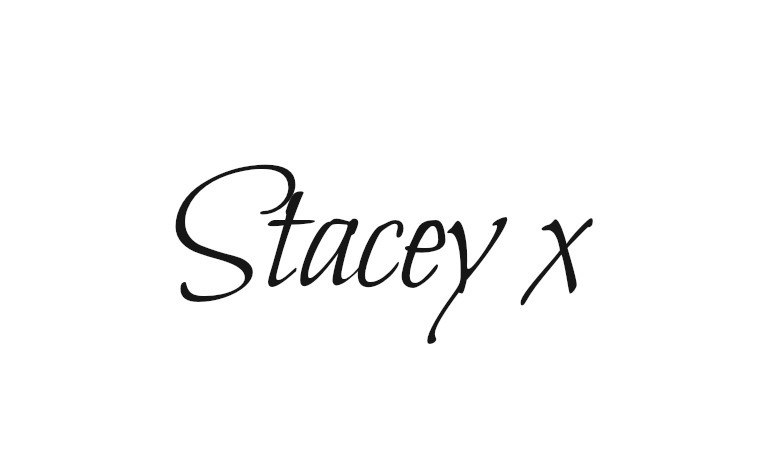 It was a totally Xmassy collection that launched in July last year. They were beautiful palettes, the pigmentation was great but the fall out was horrendous. And glitter everywhere. I could never sell them though even though I don't think I have used them since because they are just too pretty. This years Xmas collection palettes, Golden Shock and Golden Reflections have stuck with the more traditional Dior 'quilted' design pans with a glitter in the middle. Rich, opulent jewel tones?? You got it! "Intense plum and taffeta pink wave a veil of couture colour across the skin, lit up with sequins and gold radiance"
Golden Shock is the warmer of the two palettes with plummy and golden tones. This palette has sadly left me unimpressed. When I first swatched the palette and took the above pictures I thought the pigmentation was ok-not as immediate and deep as say the Charlotte Tilbury Christmas offering but pretty enough. But when I have used the palette I have found the shades to be quite washed out and they fade really quickly. I always use an eyeshadow primer so I am really surprised and a bit disappointed that by 2pm there was noticeably less eyeshadow on my lids. The top left corner houses a seemingly vibrant 'cadburys' purple but when swatched it's a more matte aubergine shade with very very fine microglitter. It's worth noting the microglitter in all the shades over the two quads is only visible in direct sunlight. When applied it's a good crease colour but I am not achieving anything like the colour on the pan on my eyes. Top right is a warm light bronze with a slightly plummy undertone-I absolutely adore this type of shade but again this shade has left me wanting more pigment. This has a satin finish. The bottom right shade is a warm peachy golden shade with an iridescent finish. It's very very similar in tone to the top left shade in the Charlotte Tilbury 'Fallen Angel' quad. The bottom left shade is the least pigmented of an already quite unpigmented quad and is a light shimmery soft pale pink with gold microglitter. I can only really use this as an inner corner or brow highlight. The centre shade is a glittery yellow gold with good pigmentation and little fallout. It layers well over any of the other shades but is definitely a night time shade. The glitter layered over the bottom right shade works well for a golden toned eye. "Steely grey, icy silver and muted bronze dance with platinum and white gold effects"
Oh so beautiful in the pan, leaning more cooler toned and slightly more 'neutral'. The top two shades are brilliantly smooth and pigmented when swatched but the bottom two less so. The top left is a beautiful steel grey with complex multicolour microglitter when swatched. On me, I can see a slight forest green undertone which I love. Perfect for a smoky eye but actually it's terribly stiff and difficult to work with on the eye. I really struggled to blend this shade out. Unbelievably the top right colour is pretty unique to my entire collection, it's a dense slightly metallic bronze with yellow/olive green undertones. I love it and it performs the best of the 5 shades. The bottom right shade is a light grey satin with silver microglitter. It works well with the top left shade for a cool toned smoky eye but again the formula is a bit dry and poorly pigmented. The bottom left shade is again quite subtly pigmented and the only matte in the quad. It's a golden toned matte beige and probably most suitable as a 'blending out' or brow highlight shade. It's a little chalky and went patchy when I wore it as an all over the lid base shade. The central glittery shade is much less pigmented in this quad and extremely wearable. It's cooler toned than that of the Golden Shock palette and has an icy silver undertone. Personally I am very disappointed with this years Holiday offering-Dior have done much much better palettes than this one. I'm so underwhelmed I will probably sell these in my next blog sale. What do you think? Which of the two do you like best? Can you resist the lure of Dior at Christmas? Have you picked up anything from the range?